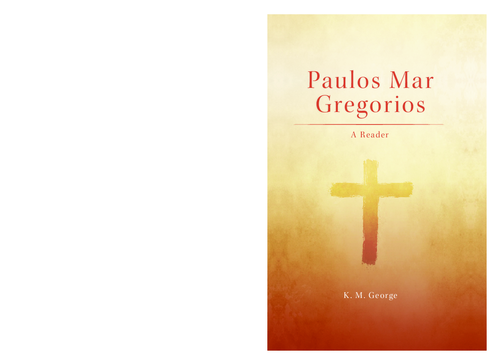 Paulos Mar Gregorios: A Reader is a compilation of the selected writings of Paulos Mar Gregorios, a metropolitan of the Malankara Orthodox Syrian Church of India and a former President of the World Council of Churches. The book deals with his thought in the areas of ecumenism, orthodox theology, philosophy, interfaith dialogue, and philosophy of science. The book will be of special value to the students of ecumenism, Eastern and Oriental Orthodoxy, Indian philosophy, interdisciplinary studies, and holistic education. The Theology of Paulos Mar Gregorios This book is a collection of the selected writings of Paulos Mar Gregorios, a leader of the Malankara Orthodox Syrian Church of India and the ecumenical movement. The key areas discussed in the book are ecumenical theology, orthodox theology, philosophy, and religion and science. The book will be of special value to students of ecumenical theology, Eastern and Oriental Orthodoxy, Indian philosophy, interdisciplinary studies, interfaith dialogue, and holistic education. 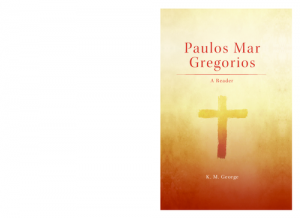 PRAISE FOR PAULOS MAR GREGORIOS “The many diverse themes and issues addressed by the versatile mind of Mar Gregorios are all woven around his vision of a new humanity and a new order of the world rooted in justice, peace, and love. The interdisciplinary character of his writings is particularly striking today as our world desperately needs a convergence of scientific rationality and other forms of human creativity. Mar Gregorios’s deep knowledge of ancient and modern cultural traditions and his erudite search for bridging the gap between the secular and the transcendent come out brilliantly in this book.” BABU SEBASTIAN | Vice Chancellor, Mahatma Gandhi University, India “A superb selection of writings of Paulos Mar Gregorios, a genius with universal knowledge of science, philosophy, and different cultures and religions. One of the few ‘renaissance polymaths’ of the twentieth century who crossed not only geographical boundaries but also those of mindsets and different forms of knowledge, Mar Gregorios was recognized as an outstanding leader in church and society worldwide. He inspired many people in the ecumenical movement—this book shows why this was the case.” MARTIN ROBRA | World Council of Churches, Geneva “Paulos Mar Gregorios was one of the great theologians of the twentieth century. Orthodox and progressive, traditional and modern, Indian and ‘Western,’ Mar Gregorios defies simple categorization . Until now, most of his books and essays were published in India and were not easy to get hold of. This new collection of his writings will help to make his thought more widely available. I believe he would hope that it would stimulate further reflection on the subjects he so deeply cared about.” PHILIP L. WICKERI | Ming Hua Theological College, Hong Kong K. M. George served as moderator of the WCC Programme Committee (1998–2006), as executive secretary of the NCC-India, and as principal and professor at the Orthodox Theological Seminary in Kottayam, India. He was also professor at the Ecumenical Institute at Bossey, Switzerland (1989–94). He is a priest of the Malankara Orthodox Syrian Church in India and is currently director and Dr. Paulos Mar Gregorios Chair of Mahatma Gandhi University, Kottayam, as well as director of the Sopana Orthodox Academy, Kottayam, India.